Helpers are increasingly encountering young people who are involved with self-injury. This webinar provides practical strategies for working with youth who are struggling with this complex issue. The topics covered include assessment, emotion regulation, replacement skills training, and contagion prevention. 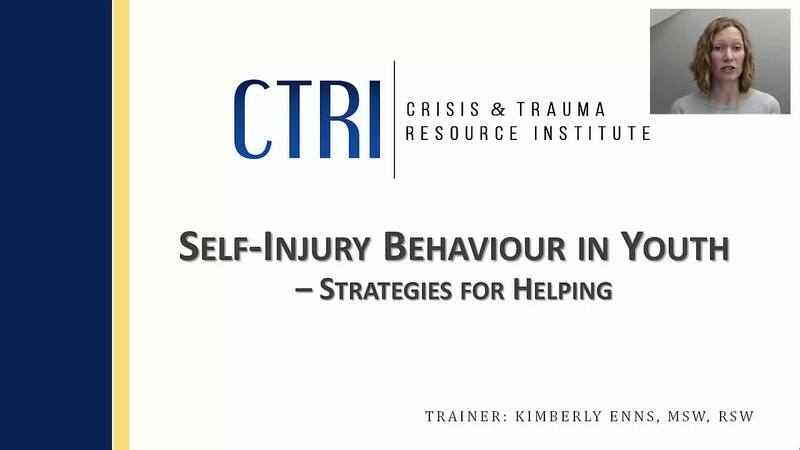 Viewers will gain new insights regarding self-injury behaviour in youth, along with tools for effective intervention.